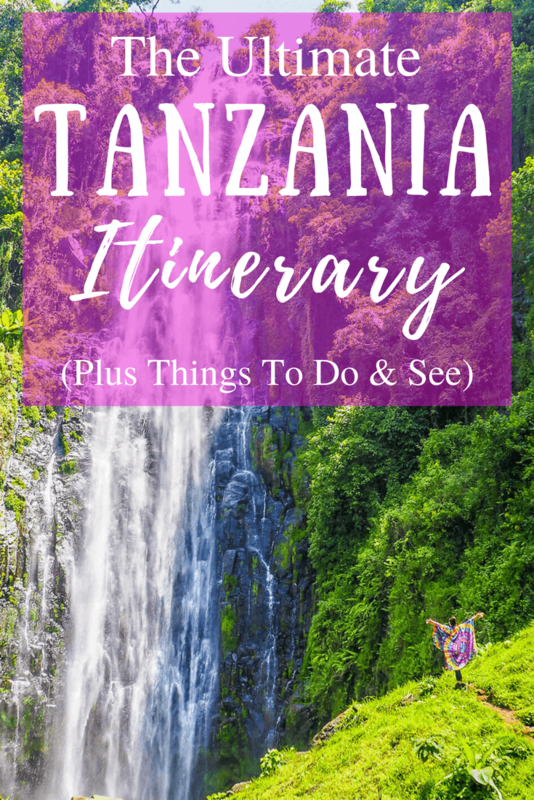 If you’re looking for an epic Tanzania itinerary? Then you’ve come to the right place. 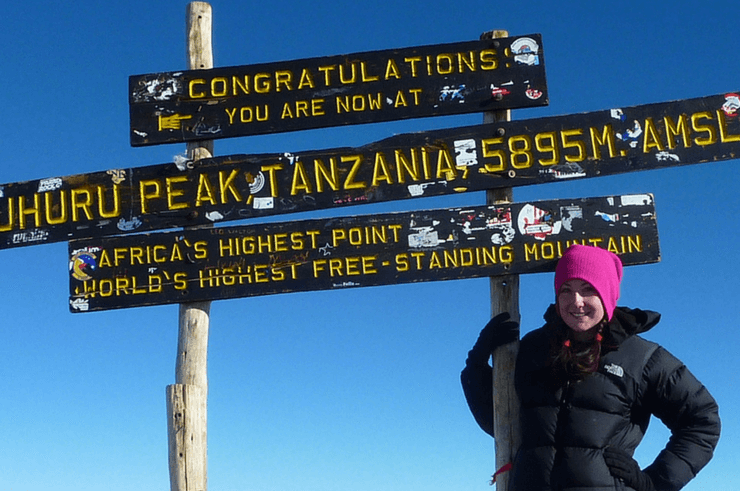 I LOVE Tanzania and over the last nine years I’ve been there maybe 9 or 10 times… I’m starting to lose count. And even lived in Bagamoyo for a little while. 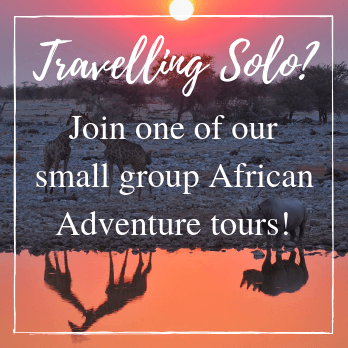 For me it has everything you could want – amazing safaris, beautiful scenery, stunning beaches, lots of culture, great food, fun nightlife and lots of things to do! Tanzania is always an adventure and a Tanzania safari should be top of everyone’s Africa bucket list. My ideal Tanzania itinerary would start up north around Arusha or Moshi (flying into Kilimanjaro International Airport) and then end down on the beaches of Zanzibar (flying out of either Abeid Amani Karume International Airport in Zanzibar or Julius Nyerere International Airport in Dar es Salaam). You could do it in reverse, although ending on the beaches makes more sense to me! To see all of the ‘highlights’ on the itinerary below you would need at least 2 weeks, maybe a few more days if you can stretch to it. If you also wanted to climb Kilimanjaro you’d be looking at 3+ weeks. 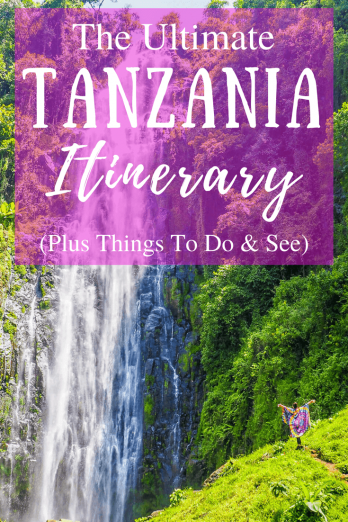 This list isn’t exhaustive and Tanzania is huge so you could easily spend 4 – 6 weeks or more (a Tanzania visa usually lasts for 90 days) in the country and visit a lot more places than I have listed here, but this itinerary is a good place to start to help you maximise your time in Tanzania. If you are wondering about how to get around Tanzania, then have a read of this post. Arusha is a bustling city which often serves as the starting point for safaris to the Serengeti, Ngorongoro Crater, Lake Manyara and Tarangire National Parks. Many people just stay a night or two here before moving on, but if you have time, I’d suggest staying at least a few days. Arusha has a lot of charm of its own and is a great place to experience Tanzanian life. It also has a fun party scene which is probably one of the reasons it’s popular with lots of volunteers (Moshi is the same). 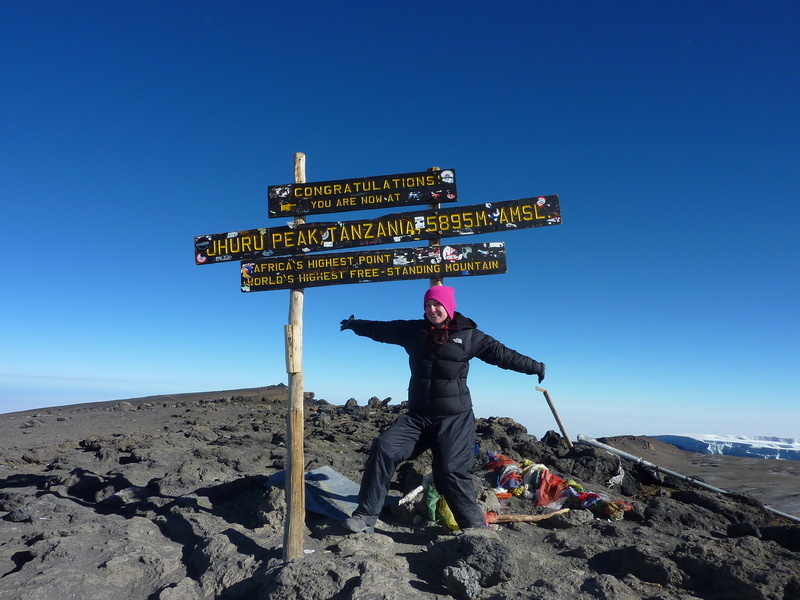 The city also lies at the base of Mount Meru which is a bit smaller than Kilimanjaro at 4,562m, but is still a very challenging and rewarding hike. Be sure to visit the great Masai Market whilst you are there and pick up some souvenirs and for a bit of R&R, head to the pool at the Mount Meru Hotel, the place to see and be seen. 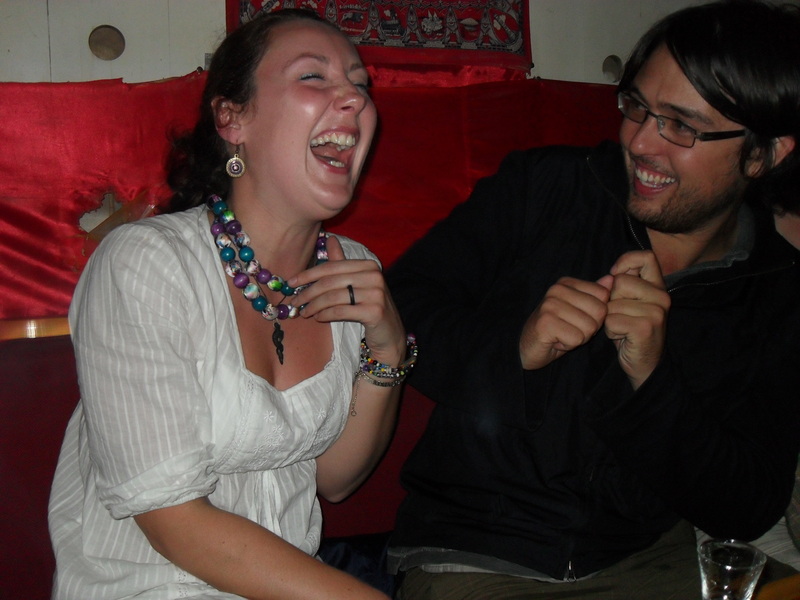 Where to Stay in Arusha: There are a couple of nice hostel in Arusha. I usually stay at Waka Waka Hostel as there’s always a good vibe and the owner, David is super friendly, helpful and a lot of fun! They’ve just moved to a great location by the Maasai Market, so it’s gonna be even better! Another great place to stay is The White House of Tanzania. Great hostel vibe and run by really lovely people. Cool Things To Do in Arusha: Climbing Mount Meru, book a safari (if you haven’t already), swim and chill at the Mount Meru Hotel, party at the bars and clubs, eat chips mayai and chicken from one of the street vendors (Arusha has THE best chicken), get clothes made at one of the excellent local tailors, go shopping at the Maasai Market and eat nyama choma at Khan’s BBQ (I love the Mr Khan’s – it’s run by 3 brothers). You can also visit some of the places closer to Moshi from here too. Lake Manyara is a great stop over on the way to the Serengeti and Ngorongoro Crater. 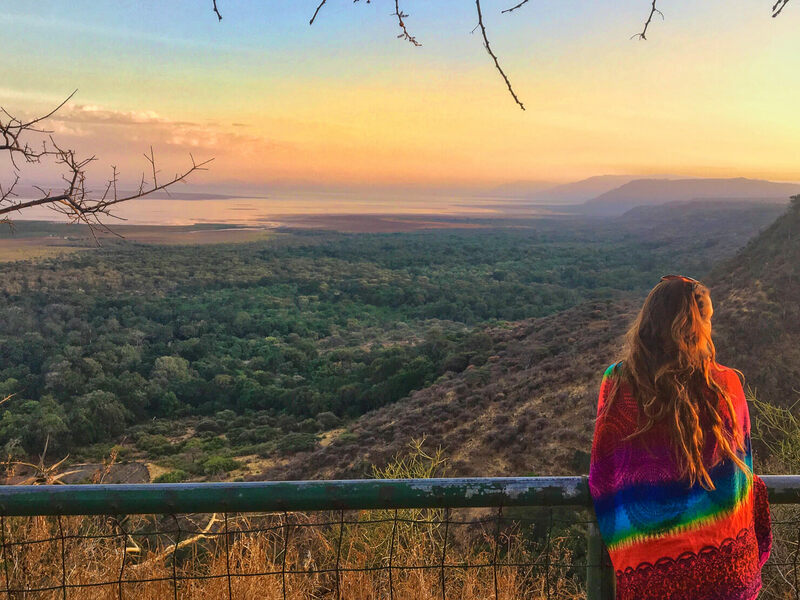 The landscape of Lake Manyara is quite different to that of the Serengeti, more jungle-like, and it’s a great place to see flamingoes, elephants and it’s known for the tree climbing lions (although lions are starting to climb trees elsewhere now too). If you are staying at one of the camps or lodges outside the park, be sure to stop at the viewpoint. It’s popular with locals and especially beautiful at sunset. 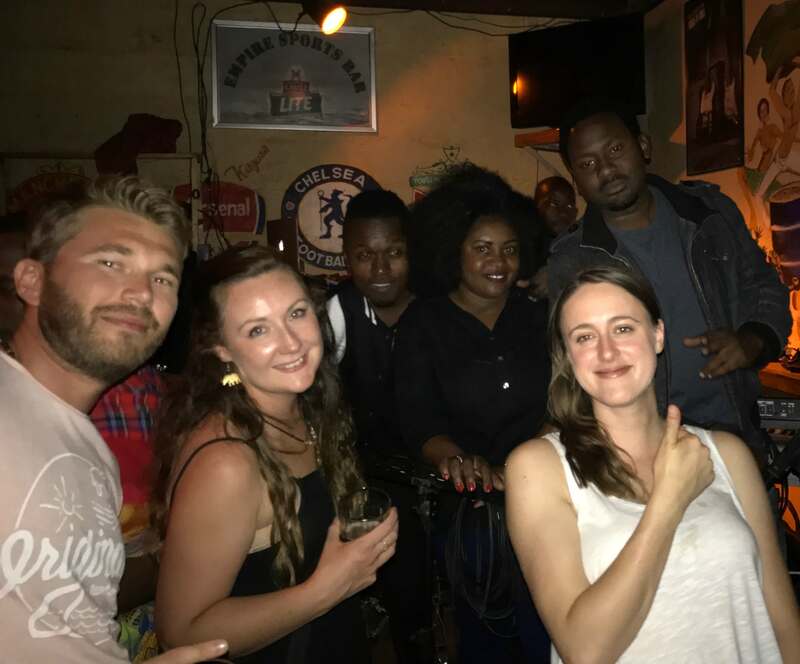 We also went for a beer in one of the bars in the local town which is always fun and not something everyone will experience on safari, so just ask your guide. Usually they’ll be happy to take you and don’t forget to buy them a beer. If you have some time and want to spend a good few days on safari you might also want to visit Tarangire National Park which has the largest population of elephants in Tanzania (I’ve not been – yet)! The Serengeti is definitely a contender for the best safari in Africa and it’s the reason many people choose to come to Tanzania in the first place. Vast and open this national park is teeming with all the wildlife you can imagine and stretches for miles and miles. The name ‘Serengeti’ actually means ‘endless plains’ in the Maasai language. I’ve been to the Serengeti around 5 times and it’s the place where I’ve seen the most leopards, with a 100% success rate so far. You can fly into the serengeti from Arusha, however it’s drivable in a day, with most safaris reaching the park by early afternoon (if you don’t stop at Lake Manyara or Tarangire on the way), allowing you to do a safari on the way into the park. For those on a budget, camping is a great option and there are a number of campsites right inside the park. These campsites are often frequented by hyenas, buffalo, zebra and even the occasional lion at night, so it’s always an adventure to stay there. For the Serengeti, I would always suggest going with a safari company, rather than self-driving, as it’s so big that you will likely get lost on your own and not see half as much as you would with an experienced safari guide. Tanzania safari tours are plentiful, so shop around to get the most competitive quotes and read lots of reviews! 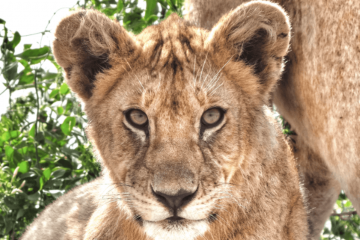 I was once quoted $700 higher from one safari company than another for the exact same tour. 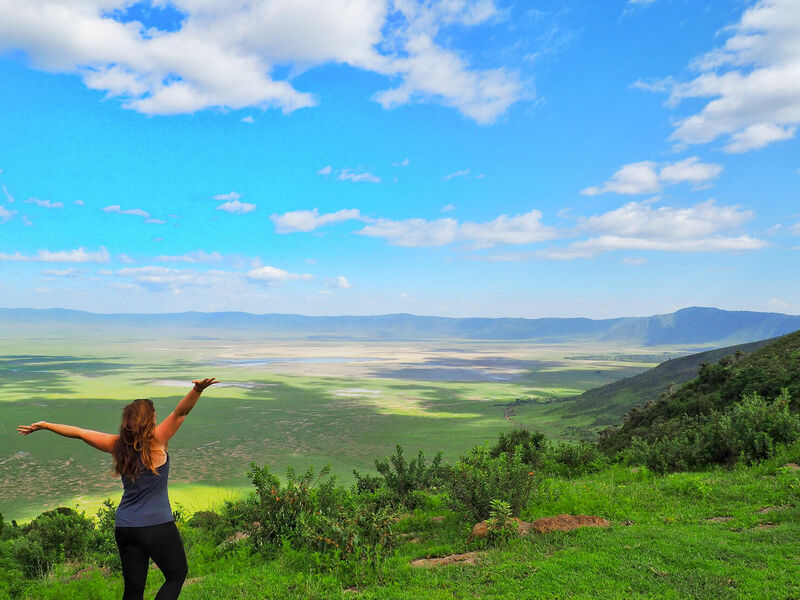 The Ngorongoro Crater is one of the most stunning safari destinations in all of Africa. The crater was formed when a gigantic volcano (which is thought to have been bigger than Kilimanjaro) exploded and then collapsed, creating the epic landscape we see today. A safari here never disappoints and it’s one of the best places in the world to see the endangered black rhino. It’s important to get into the crater as early as possible, as this is when the animals are most active and when you are likely to see the most. I’ve seen stand offs between lions and buffalo and the most craziest sight was watching seven hyenas chase a wildebeest whilst she was giving birth. Most people visit the Ngorongoro Crater on the way back from the Serengeti as they are right next to each other, so you can easily do both together. For me, one day in the crater is usually enough, but if you want to give yourself a better chance of seeing some action then two days might be better. Kilimanjaro is the highest free standing mountain in the world and the highest mountain in Africa. Plus, it’s damn beautiful so it’s no wonder that it is one of the reasons that thousands of people travel to Tanzania every year. The climb usually takes between 6 to 8 days, so if you’ve only got a couple of weeks, this will take up a big portion of your trip, as you’ll need to spend a day in Moshi before the climb (at least) too. But it’s worth it. I spent 6 days on the Machame Route and it’s definitely one of the best things I have ever done in my life. Moshi usually serves as the starting point for any Kilimanjaro expedition and is a great place to spend a couple of days before and after your climb. It’s a lovely town, a bit less hectic than Arusha and with Kilimanjaro as the backdrop, it’s beautiful too. 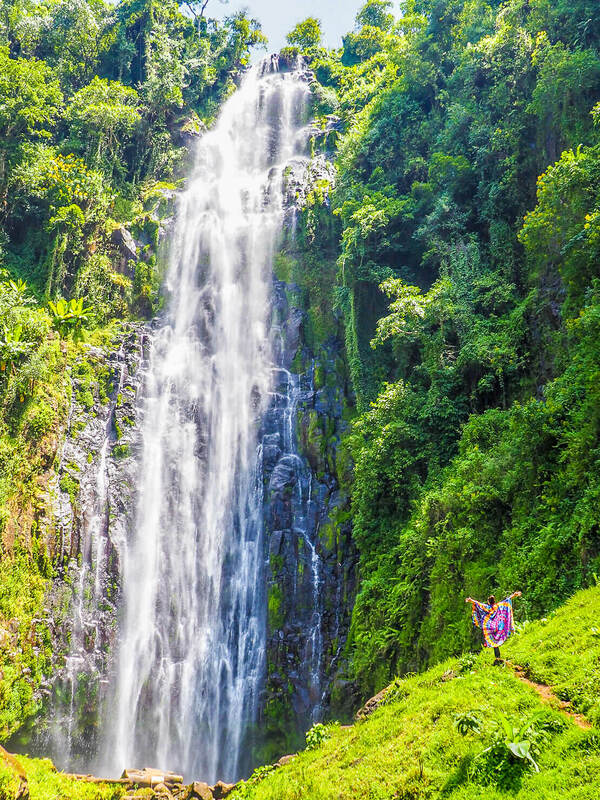 There are plenty of great day trips to take from Moshi (you can also do these from Arusha too – but they’re a bit closer to Moshi), including a trip to Materuni village for a coffee tour and see the Materuni Waterfalls (one of my favourite places in Tanzania)and experience the hospitality of the Chagga people. Another favourite of mine is the Chemka Hot Springs (also known as Kikuletwa Hot Springs) a popular picnic and swimming spot for both locals and tourists. This is a great place to spend an afternoon. You’ll also be able to visit Maasai villages in the region between Moshi and Arusha. I prefer visiting the villages here to those in the Ngorongoro Conservation Area. Where to Stay in Moshi: There’s a lovely guesthouse called More Than a Drop. As well as being a guesthouse, it’s also a vocational school training young women in hospitality. They have an amazing view of Kilimanjaro from the restaurant and serve amazing vegetarian food. Another favourite is a place called The Secret Garden. Just make sure you get one of the rooms inside the house as they are much nicer. Cool Things To Do in Moshi: Climbing Kilimanjaro, visiting the Maasai near Boma Ng’ombe, swimming at the Kikuletwa Hot Springs, taking a coffee and waterfall tour in Materuni village, eating pizza at IndoItaliano, shopping at Memorial Market and eating or staying at Shirikisha. 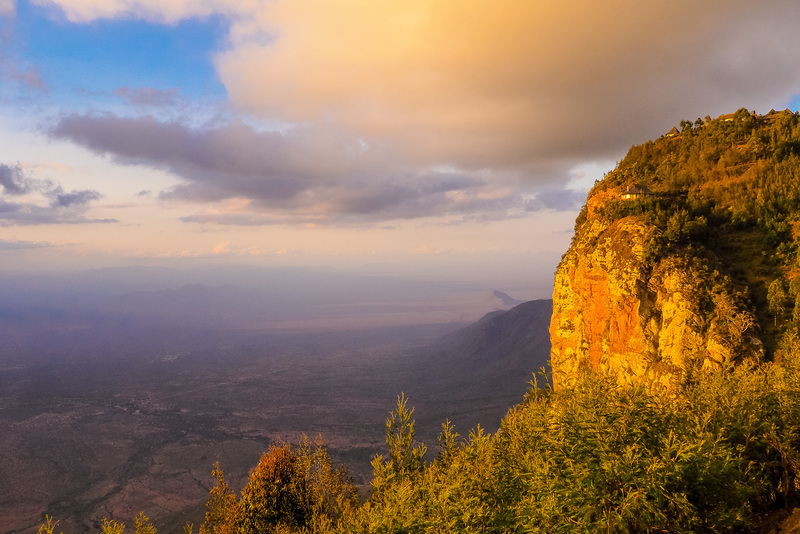 Relatively untouched by tourism, the Usambara Mountains are an incredible stop on your Tanzanian itinerary. Here you will find the best views in all of Tanzania and I’d dare to say the friendliest people in the country. Most people stop in Lushoto in the West Usambaras, however if you have more time, I would definitely suggest to head further in to the mountains to Mambo, a small village in the far north of the mountains (you have to go through Lushoto to get to the other villages as there’s no direct road unfortunately) where the views are even more spectacular and on a clear day you can even see all the way to Kilimanjaro. The drive through the mountains is incredible or you can organise multi-day hikes between the two. When there, be sure to visit the Irente View Point in Lushoto and take a trip to one of the colourful local markets. Where to Stay in the Usambara Mountains: Irente Farm Lodge is a great place to stay in Lushoto. It’s cosy and cute, near to the Irente View Point and they serve the best lunch of homemade breads, cheeses and jams! Up in Mambo Viewpoint Ecolodge is a great choice with fabulous views over the country. Cool Things To Do in the Usamabara Mountains: Hiking, going to church, shopping at a local market, visiting the Amani Nature Reserve, eating all the cheeses at Irente Farm, seeing the epic views from the Irente Viewpoint or Mambo and visiting the Mazumbai Forest Reserve. 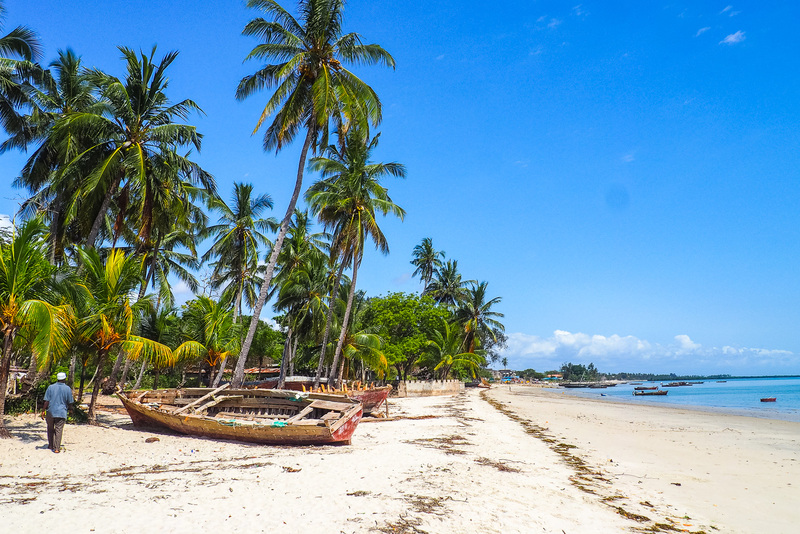 If you want to get a true Swahili experience without the hordestourists, then head to Bagamoyo, a historical fishing town about an hour and 45 minutes north of Dar es Salaam. It’s one of my favourite places in Africa. Bagamoyo has a chilled out vibe and is a great place to spend a few days, visiting the historical sites, eating fresh seafood and just being. It’s hard to describe how special this place is, but i will try with a post coming soon! Tourism is slowly coming to Bagamoyo, so go sooner rather than later. Where to Stay in Bagamoyo? My favourite place to stay in Bagamoyo is Firefly , one of my favourite hostels in Africa. It’s in a great location close to the town and the beach, they have a wonderfully social bar and pool area and the food is great too. They also make my favourite breakfast in Africa (shaksuka with balsamic reduction). Cool Things To Do in Bagamoyo: Visiting the Bagamoyo Art Market, hanging out at Firefly, visit, taking a cycling tour of the old town, visiting the fish market (go very early in the morning or late afternoon), taking a Swahili cooking class, going to an event at the Bagamoyo College of Arts, visiting the Kaole Ruins and chilling on the beach. Dar es Salaam is a big, busy African city isn’t everyone’s cup of tea, but it is kind of cool and also a great jumping off point for travel over to Zanzibar (although you may soon be able to get a ferry to and from Bagamoyo… I will keep you posted) or to the neighbouring countries of Zambia and Malawi. Plus it also has an international airport so it’s a good place to start or end your Tanzania trip. Where to Stay in Dar es Salaam: My favourite hostel in Dar is The Slow Leopard in Masaki. The rooms are lovely (they book up quickly) and they have a popular bar and good food. However, Firefly are opening a hostel there soon too, so that may become my favourite- who knows. They are on opposite sides of the city though so I guess location will play a big part! Neither are super close to the airport unfortunately, but the new Firefly will be in Kigamboni(I think) , so a short ferry ride across from the main ferry terminal to Zanzibar. 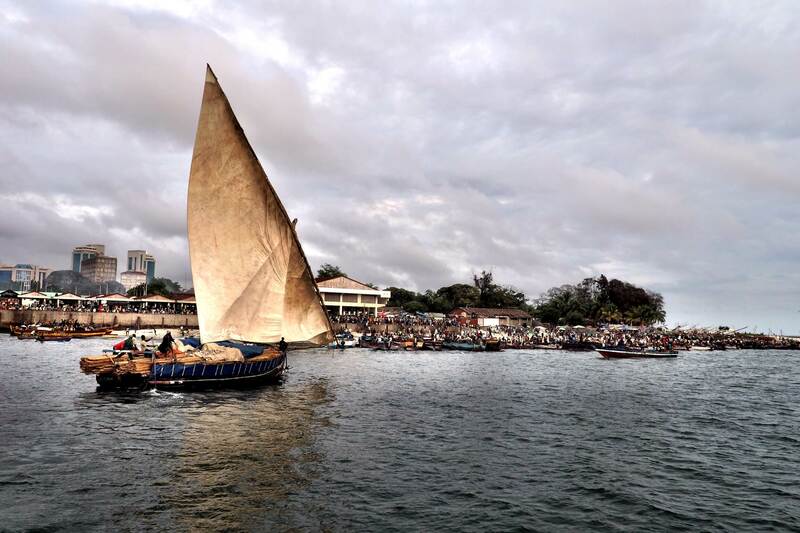 Cool Things To Do in Dar es Salaam: Visiting the Fish Market, taking a trip to Bongoyo Island, hanging out on Coco Beach, trying the local street food, shopping at Kariakoo Market, Mwenge Wood Carvers’ Village or learning about Tanzanian culture at the Village Museum and shopping for fabric on Uhuru Street. It’s no secret that I love Zanzibar. For me it has a bit of everything. History, a mix of cultures, beautiful beaches, amazing food and lots of stuff to do! When I go to Zanzibar, i usually move around to different places as staying in one place and exploring the island from there doesn’t make much sense to me. I’ll start with a day or two in stone Town, then move to the beaches in the north (usually Kendwa) and then the beaches in the south east (usually Jambiani or Paje) – or vice versa. Where to Stay in Zanzibar: In Stone Town, I usually like to stay at either the Dhow Palace Hotel or Lost & Found Hostel. They are both on the same street, in a very convenient place in town and easy to find. In Kendwa, I usually always stay in Kendwa Rocks as it’s super convenient and then in Paje I love Hakuna Shida Guesthouse and The Waterfront (which is part of Mr Kahawa). 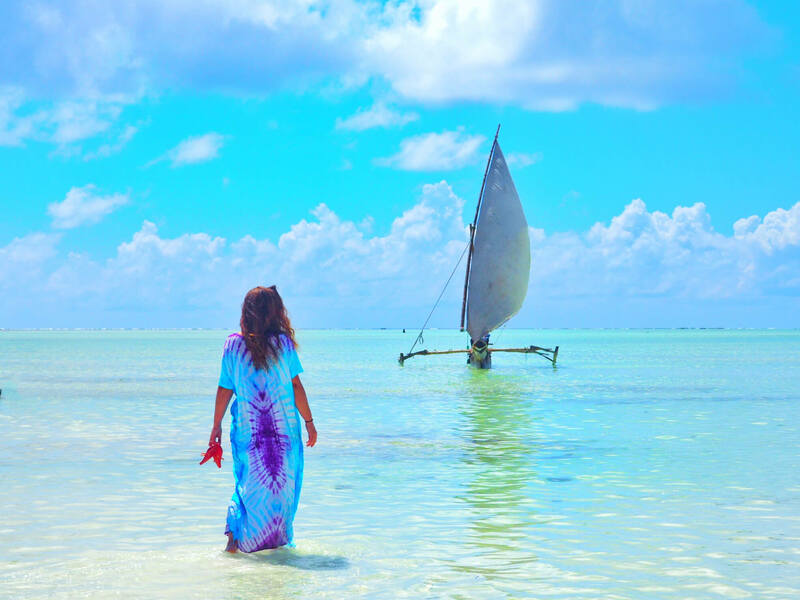 Cool Things To Do in Zanzibar: Relaxing, shopping, exploring Stone Town, visiting Forodhani Gardens, partying at the beach bars and going on a snorkelling trip on a traditional dhow – I’ll leave it there as I’ve written a very comprehensive guide on things to see and do in Zanzibar below! I hope you have an awesome trip to Tanzania! If you need any clarification/help, please leave your questions in the comments below and I will happily answer! Previous ArticleDo I Need a Yellow Fever Certificate to Travel to Africa? Tanzania has been my dream destination for as long as I can remember. From the wilds of Africa to the stunning landscape, the history and the culture, it has it all! I’m in love with this itinerary! 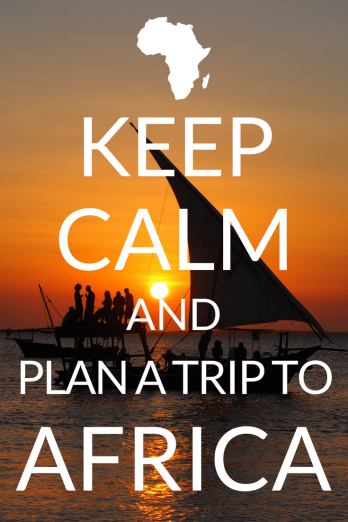 And I think you may have just inspired me to finally start planning my first Africa trip! I’m dreaming of making this trip some day. Two years ago we started planning it, but then decided to postpone it. And now, your blog post is making me want to jump on a plane right away and experience it for myself. And your photos are stunning! Thanks Mina! Tanzania is an amazing country and you will love it! Ah so glad you found the slow! Henry and Eddie are running a great place, burgers are the best in Dar. Don’t hold out for the ferry to bagamayo it has been bought but is too slow, when that kerfuffle is sorted who will know? Yes they are! It’s a cool spot! I was in Baga a few weeks ago and speaking to the guys I think it’s coming soon but who knows… I guess the good thing is that Dar is not too far so there’s always options. I’m back again in a few months so fingers crossed! Do you generally feel pretty safe there, or is there anything to look out for aside from general common sense? I haven’t used Easy Travel before, so I can’t comment on their service. I would maybe get some quotes from different operators. For a 3-day safari, you shouldn’t really be paying more than $650 if you are in a full safari car, this may vary if on your own, but between 4, $650 is reasonable per person. i would try Shemeji Safaris too. I know they have some sharing trips you can join. Hope that helps! And happy birthday for August! OMG, this Place looks so so beautiful in these pictures. pictures are very colorful and look so attractive. thanks for sharing this post with us. Hi, that’s such a great and helpful blog, thank you! 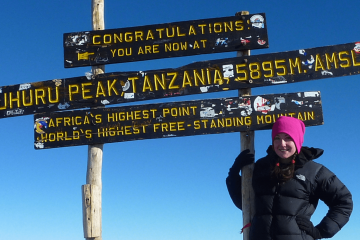 I’m planning to head there in January to climb Kilimanjaro then safari and finish with Zanzibar (3.5 weeks ish). By the looks of things I can sort out a safari at short notice but what would be your advice in Kilimanjaro, should I have that booked before I leave or would a few days to find a group be ok? And also is there any companies you’d recommend? Thank you! Can you share your approximate budget for this trip? I am hoping to plan something similar for next year. Thanks! Tanzania is definitely a cool place. I’m putting it on my bucket list. Hey thank you so much for this information! I was just wondering how you can get around? I am a solo female traveler and looking for a budget way to get around. Is there public transport options to get e.g. to the Usambara Mountains, bagamoyo, dar es salaam? And for the more safari areas like getting to the crater and Lake Manyara etc. do you need to book a tour for this or are there other ways, how did you get around? Would love your feedback 🙂 cheers. I don’t think I have the money or the time to go very far from Dar, but I definitely want to do something sort of safari. Is there one not too far from Dar that you could pls recommend me? In terms of organising, it really depends on where you are going. You can just turn up in Tanzania and organise most things, however if you are limited on time, organising a few things in advance is probably better – accommodation (especially if there’s anywhere specific you want to stay) and safaris. Other activities, you can book when there. And any internal flights. I would maybe start by contacting some safari companies. You can fly into the Serengeti etc but it’s the more expensive option. To keep costs low, you can drive in. I would suggest to go with a safari company as you will have a much better experience. The journey takes around 6/7 hours but with a private safari company it’s pretty comfortable. The only real long journeys on this itinerary is the trip between Arusha/Moshi and Dar/Bagamoyo, but you can break it up with a stop in Lushoto (like I do on my trips), or you can just fly between Kilimanjaro and Dar or Zanzibar. If you do get the bus, it takes 12 hours or so, but if you get one of the big coaches they’re pretty comfy – I recommend the Kilimanjaro Express. You could drive around, just be aware of the police, speeds and ensure you have the correct paperwork from your rental company. How do you feel about travelling Tanzania/Zanzibar in July-August. Too hot? Thanks for the great info. I am wondering how you get from one location to the next. Do you use public transportation? Thanks for a very helpful post! 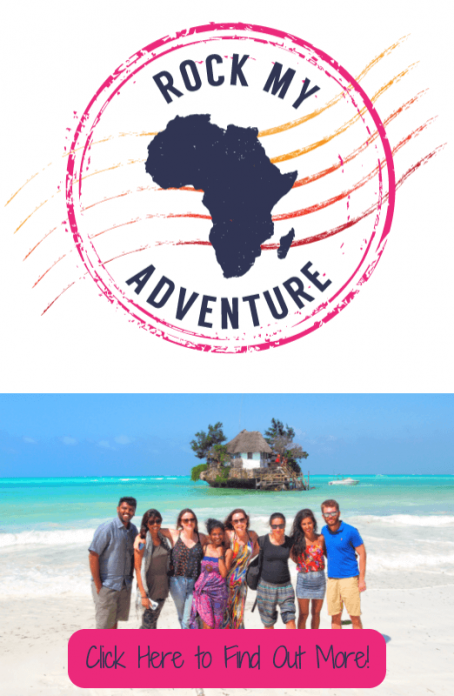 I am planning a 3 Weeks trip in july to Tanzania, where your post has been a great inspiration. Even though we are doing the trip the other way around since the flight tickets got 400 dollars cheaper and with shorter layover. We are planning 4 Days of safari around Serengeti. I woukd love a longer tour, but my husband think we would her to tired og bumbing around for longer time. So my question is: are where other ways to get sine wildlife experience near this route? We are of course gonna snorkle around Zanzibar, but except for that. What else are there og wildlife opportunities? 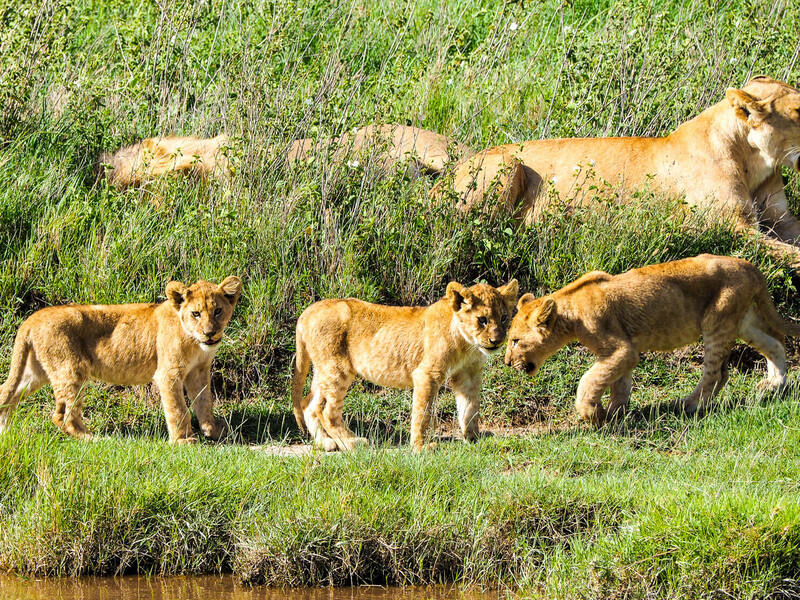 4 days in the Serengeti itself would be too long for me, but nearby are Tarangire National Park, Lake Manyatta, the Ngorongoro Crater and Lake Eyasi, all of which can be incorporated into your safari. There is also Arusha National Park and down by the coast, Selous NP. We have already decide to combine Serengeti with Tarangire and Ngorongore 🙂 I was more thinking on if there was different wildlife experience. Example in the area around Lushoto or by the coast. I have already read you post. Thank for it! It has been a great help in my search for the tour operator. Any recommendation for which group to go with for mt kili? Ty.